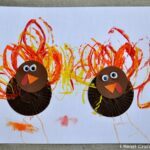 My love for crafting with cupcake liners continues! 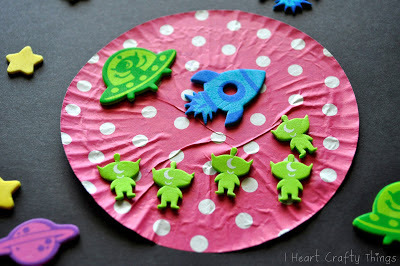 This time we used them as planets and coupled them with fun space themed foam stickers to create an outer space scene. 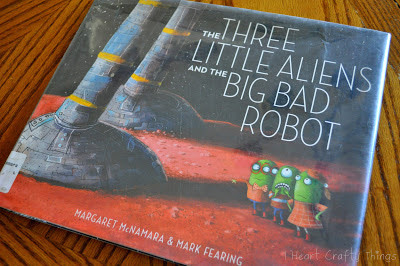 Let me start by telling you that this craft was inspired by the book “The Three Little Aliens and the Big Bad Robot” by Maragaret McNamara and Mark Fearing. It is a spin on the familiar Three Little Pigs tale. I was worried the text would be too advanced for my toddler, but she actually sat and paid close attention the whole time. She seemed enthralled by all the illustrations throughout the story. 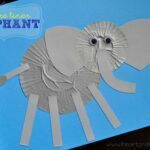 My toddler (2 1/2) is at the beginning stages of crafting so using simple materials that don’t require cutting is perfect for her. 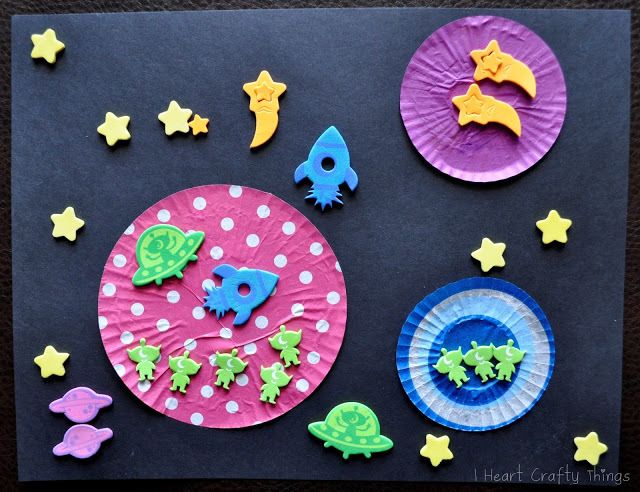 These glow-in-the-dark Space Foam Stickers from Craftprojectideas.com are perfect for toddlers. To make our project, I let my daughter pick out three cupcake liners to use as her planets. We used 2 mini liners and 1 regular-sized liner. 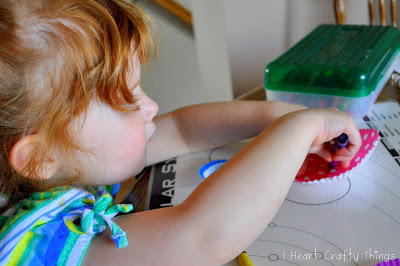 She started by using crayons to add details to her planets. I obviously didn’t expect much out of this since she’s only 2, but I thought adding some scribbles would add some dimension to the planets. 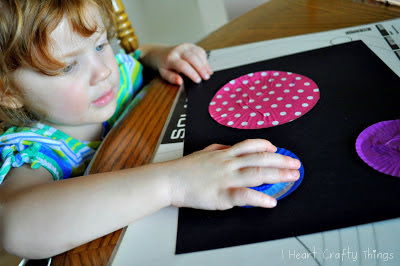 Next glue the cupcake liners to a black sheet of cardstock paper. 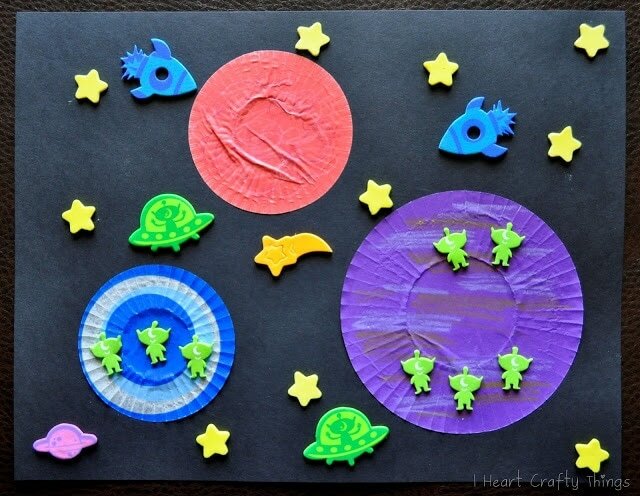 Lastly, use the space themed foam stickers to finish your outer space scene. I’ve got to be honest, I think my little girls turned out waaaayyyyy better than mine! This little polka-dot alien planet just warms my heart. It’s too cute! Did I mention that the foam stickers are glow-in-the-dark??!! Yep, BEST PART!! It doesn’t get any more cool than a space craft that glows in the dark! 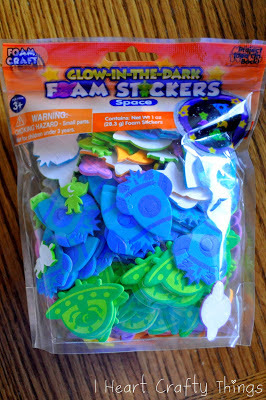 *I received the glow-in-the-dark Space Foam Stickers for free from Craftprojectideas.com, but all opinions expressed are my own. Cupcake liners for planets?!? That is SOOOOOOOOO smart! I love this! Thanks for sharing. 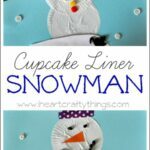 I'd love it if you'd link this up to the After School Linky Party (either last Monday's or this Monday) at my blog! Gorgeous! Love and Pinning it.